In 2008 for the first time an Adamas appeared in the Collectors series after 25 years of woodtop Collectors vibes. It’s also the last Collectors guitar of the Kaman era. 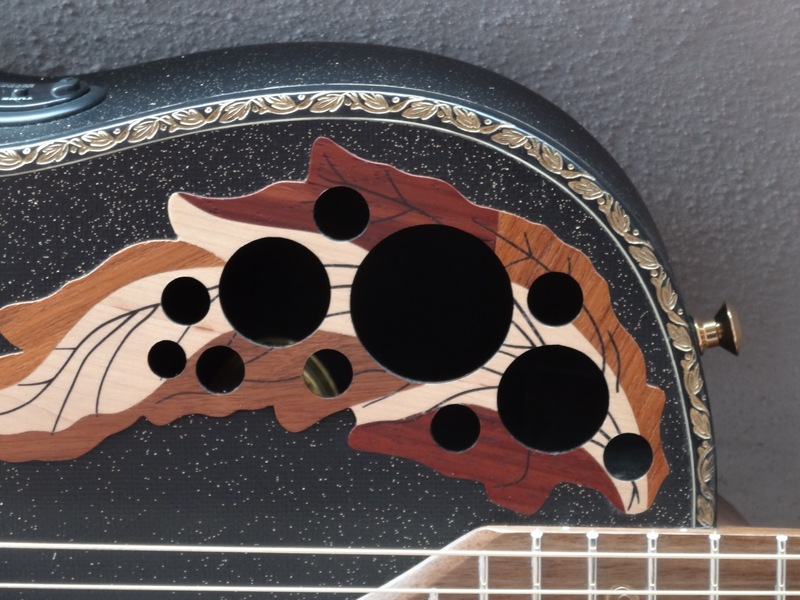 Built at the end of 2007 and sold in 2008, the 2008-5 is the last queen of the original Ovation dynasty. If the original Slothead was the crowning jewel that started the whole thing, this 2008-5 brings the Adamas history full circle into a glorious conclusion. The features are quotes of the best Adamas made from 1976 to the present. Black cross composite top, composite binding decorated in gold, lightweight Lyracord GS deep contour roundback, 13 exotic woods single epaulet, 14 frets wide laquered rosewood fingerboard, satin finish neck, gold inlays with “Collectors” at the 12th fret, slothead, Adamas logo in gold, gold Schaller tuners, gold binding as on the original Slotheads, two-way LX lightweight truss rod with carbon satabilizers and rosewood cover at the headstock, rosewood Adamas 1-style carved bridge, Vip 5 preamp (but I added an OP-Pro in the case, I like it better because the tuner works without the jack plugged in) and an elegant 9158 case. The genius of Charlie Kaman lives in this extraordinary instrument of which I have the honor of being care keeper from June 4, 2014. It’s so precious that I feel intimidated when I take it from the case, but after the first notes she becomes friendly. This awesome guitar is one of the stars of my collection, a pleasure to own, look at and play. It was expensve (still a fraction of the last US made Adamas), but it’s worth every cent I paid. Merci Jean-Pierre!